Taapsee was spotted recently layering her outfits with a crisp white shirt, first in a black Akashi dress and then in a blue floral H&M jumpsuit while travelling. Second one definitely. I wonder how women pee in jumpsuits. 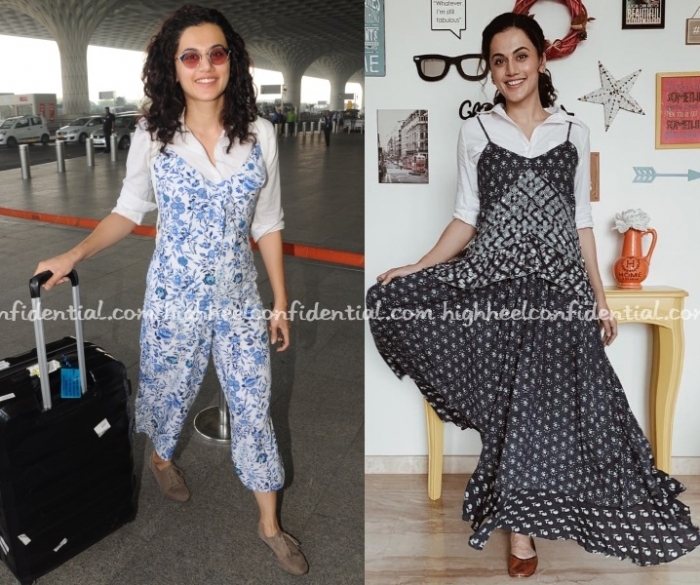 Not being negative,but tapsee’s stylist tries to make trends happen which just does not click.